KRS Science department follow AQA Science for Key stage 3 and 4. 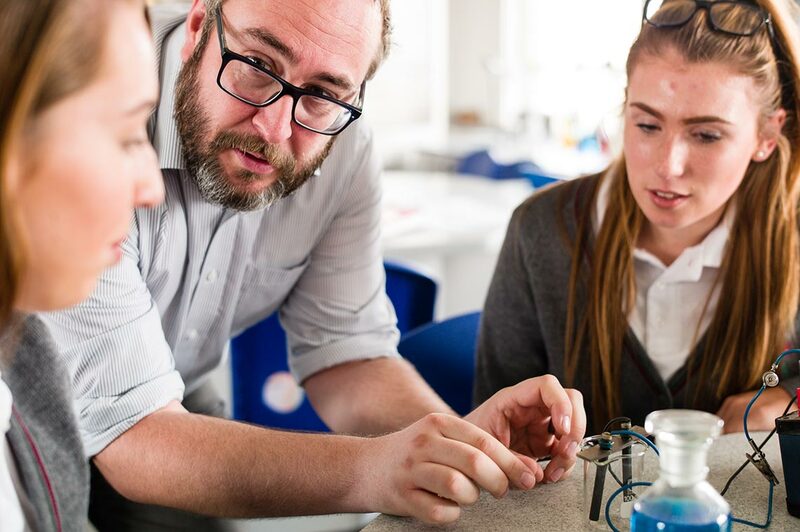 We find the AQA KS3 programme is a fantastic way to prepare the students for AQA GCSE Science. We offer A level Biology, Chemistry and Physics. KS3 starts in Year 7 and ends in the Christmas term in Year 9. Below shows the topics we cover in KS3 and in the different subjects of Science. Learners are set a variety of homework that is designed to reinforce what they have learned in the current teaching topic, usually a thinking homework where they need to research and have an answer for next lesson. These will also encompass other areas of the curriculum, such as supporting Literacy and Numeracy, as well as encouraging independent research and revision. At the end of each unit the students are guided in their revision and then sit an end of topic assessment which is matched to each students learning pathway at KS3. At the end of year (June) they will sit formal exam, which are used to assess their progress. In Science we are following the AQA Specification for Trilogy (2 x GCSEs) & Separate Science (3 x GCSEs). Below are the topics we cover over 2 years. The examinations in May 2018 will consist of six exams for both courses. At the end of each unit the students are guided in their revision and then sit an end of topic assessment. At the start of the year (October) and the end of year (June) they will sit formal exams, which are used to assess their progress. Learners are set a variety of homework that is designed to reinforce what they have learned in the current teaching topic. 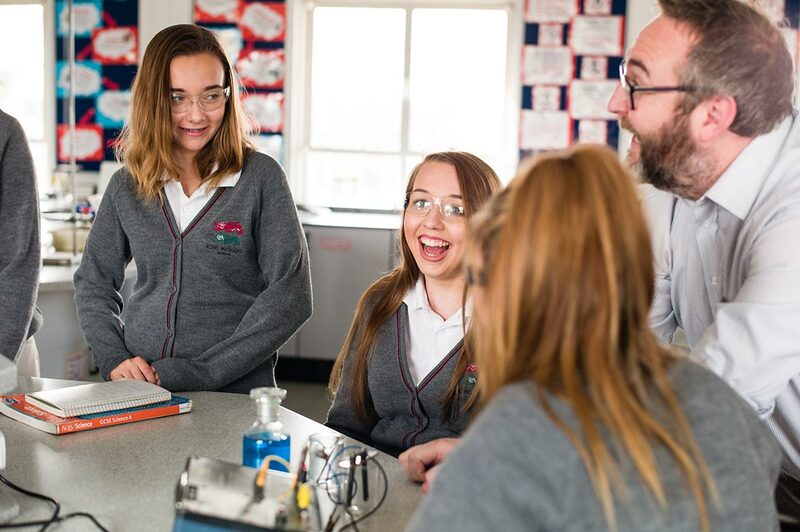 These will also encompass other areas of the curriculum, such as supporting Literacy and Numeracy, as well as encouraging independent research and revision. At the end of each unit the Learners are guided in their revision and then sit an end of topic assessment which is matched to each students learning pathway at KS3. In Year 10 Science we are following the AQA Specification for Trilogy (2 x GCSEs) & Separate Science (3 x GCSEs). Below are the topics we cover over 2 years. The examinations in May 2018 will consist of six exams for both courses. In Year 11 Science we follow the AQA Specification of Science A (1xGCSE), Additional Science (1xGCSE) & Separate Sciences (3 x GCSEs). This course is ending from June 2017. The examinations for this course are dependent on routes taken. Science A and Additional Science will have 2 exams each at 1hr 30 mins long and each course has a piece of controlled assessment completed during the school year. Separate sciences of Biology, Chemistry & Physics each will have 3 exams and a piece of controlled assessment for each subject. Homework at GCSE is set using CGP workbooks which we provide the students with. This is usually set every two weeks. Assessments are set for the end of each unit in each course. These are usually past exam questions based on the learning they have been covering. We recommend each student commits extra hours on Science outside of school to help build retention and understanding of key concepts. The students are given textbooks to help with this.